Currently, when USCIS receives a petition which is incomplete or does not adequately prove that the foreign national satisfies their visa petition requirements, USCIS would send a Request for Evidence (RFE) or Notice of Intent to Deny (NOID). Starting September 11th, 2018, USCIS will no longer require visa petition evaluators to send RFE’s and NOID’s to foreign nationals before denying their applications. This means that applications for E, H, L visas, and green cards can be directly denied without any opportunity to cure! This also illustrates why foreign nationals need to have effective attorneys. On their side this is a real game changer! In the quest for the USCIS to make it difficult for any foreign-born individuals to come to America, the latest effort is a June 28, 2018, policy memorandum on the updated guidance on Notices to Appear (NTAs). The policy and its implications will particularly affect foreign-born professionals. In the wake of a multi-million dollar kickback scandal between Jay Peak Resorts and immigration attorneys, the Vermont EB-5 Regional Center, the government office overseeing Jay Peak EB-5 projects, has been closed down. Jay Peak paid over 100 immigration attorneys $25,000 per each EB-5 investor brought into the Vermont Center. Must stay in the U.S. // Flexible presence in the U.S. In a significant setback to the Trump Administration, a bid was recently lost to persuade a federal court to enable long-term detention of migrant families. The federal court in Los Angeles countered nearly every argument posed by the Justice Department, stating there was no basis to amend a longstanding consent decree requiring children to be released to licensed care programs within 20 days. A federal judge in California upheld two of three key state sanctuary laws. California can restrict police cooperation with immigration officers. The state can require regular inspections of immigration detention facilities. In Immigration Court, there is no minimum age which a child is prohibited from representing themselves. Immigration courts do not have the same “right to an attorney” that criminal courts have. The outside world knows very little about the deportation process because the United States immigration system hides behind closed doors. Some immigration courts are kept inside secure ICE detention centers. Immigration judges can remove spectators and close the doors to proceedings at their discretion. Late June, Immigration and Customs Enforcement officers executed their largest workplace raid ever in an Ohio meatpacking plant, arresting over 140 workers. In an industry dominated by undocumented work, continued ICE raids would destabilize companies and harm the industry. Norma Borgono, a 63-year-old secretary immigrant from Peru received a letter from the U.S. government indicating that The Department of Justice was suing to “denaturalize” her as part of Trump Administration’s initiatives to revoke citizenship from individuals who committed offenses before becoming citizens. A new Canadian law, to take effect on Oct. 17th, will legalize recreational marijuana across Canada. Canadians who smoke legal marijuana in Canada will face issues when trying to enter the United States. Although the Trump Administration wants asylum seekers to come legally through ports of entry, these families are still facing issues with separation from their children. Despite statements from the Department of Homeland Security saying the separation of families is a “myth,” reports from immigration courts discovered by the Texas Tribune show the myth is very real. Immigration law experts believe one of the issues in United States immigration policy is that less protections are given to those who enter through ports of entry than by other means. Attorney General Sessions recently ruled that victims of domestic and gang related violence cannot seek asylum in the United States. Federal law requires all children in America to receive public education, regardless of immigration status. The Canadian government is investigating reports that U.S Border Patrol has been searching Canadian vessels in its search for illegal immigrants. As the southern border becomes much tighter and more restrictive, immigrants are now seeking to enter the U.S. from Canada. The Trump Administration’s “zero tolerance” immigration policies have led to the separation of over two thousand children from their parents. Many Republicans have criticized the Trump Administration for being “cruel” and “immoral”. Zeid Ra’ad al-Hussein, the current High Commissioner of the United Nations Human Rights Council, strongly opposed the Trump Administration’s policy of separating migrant children from their parents in a speech he gave on June 18th. Joanne has been practicing immigration law exclusively since 1987 and is a former partner of a global law firm where she was responsible for the direction and administration of the corporate immigration department within the Employment and Labor Group. She previously worked for several large law firms. Joanne has successfully represented multinational corporations seeking employment based visas and permanent resident status for employees and their families. 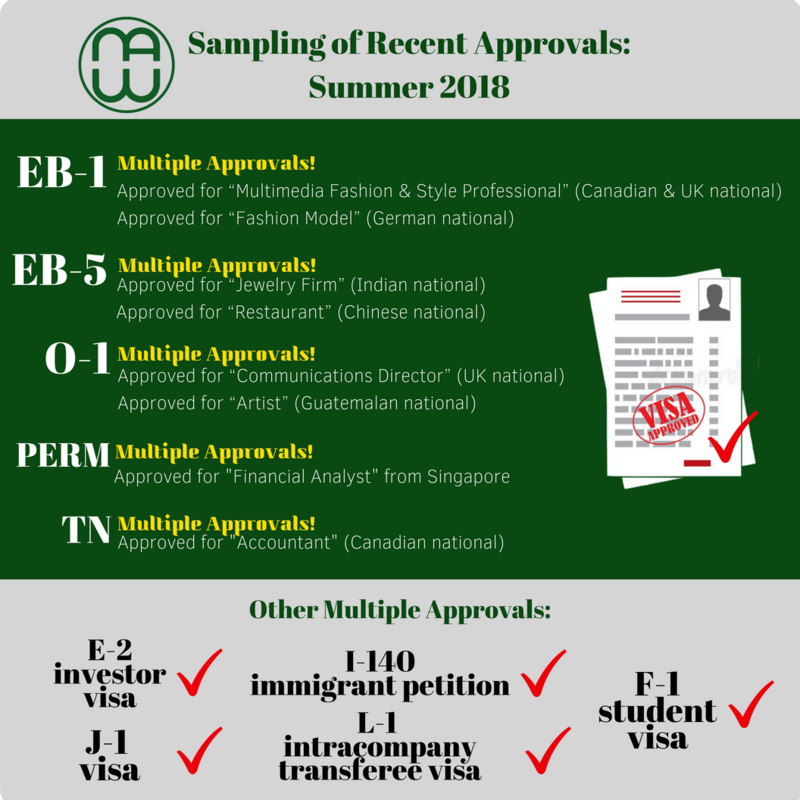 She provides analysis of cases in the preparation of nonimmigrant visa applications utilizing various visa categories including E, H, L, P and O business visas as well as TN visas. She is very experienced in strategizing permanent resident processing via the permanent alien certification program, as well as other immigrant visa classifications including the EB-1 categories for Aliens of Extraordinary Ability in the Arts, Sciences and Business, and National Interest Waivers. Joanne also has significant experience advising clients regarding the nuances of US consular processing and adjustment of status in the U.S.
Further, due to her significant experience within the corporate firm setting as well as her dealings with multinational corporate clients, she also conducts client audits as they relate to I-9 compliance issues and assists clients in setting up internal auditing procedures and preparing internal policy manuals. Joanne has also been a frequent lecturer on immigration law before various associations and is a long-standing member of the American Immigration Lawyers Association. She is a member of both the New York and New Jersey bars. US employer asks: “A job applicant has told us that she can work in the US because she has won the Diversity Visa lottery. Is that true?” Ans. DV lottery winners can obtain their green card either in the US (by adjusting their status-but must be completed by Sept. 30th) in which case they can obtain a work/travel permit (EAD) usually in 4-5 months – or, alternatively, seeking the green card abroad in their home country – which means that they don’t qualify for a work permit in the interim. The problem is that the absolute deadline for completion is September 30th. Foreign national asks: “Does it make a difference what state I actually get married in? 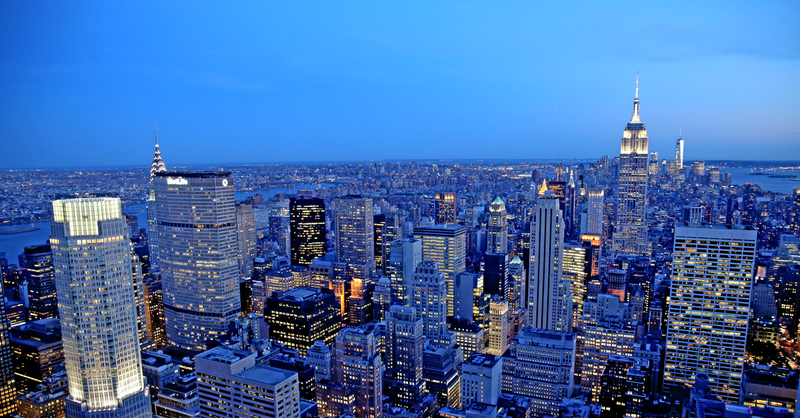 I reside in NY as well as California?” –Ans. You can get legally married in any state within the US – or even abroad. However, your adjustment of status green card application will be filed in your state of residence. Client in the US asks: “I wanted to ask about sponsoring a 2 week visit for someone we have on board as a consultant / contractor in India. Will this be a B1/B2 visa or J visa? Could you help with the process please?” Ans. Seeking a B-1 business or B-2 visa is always a challenge at a U.S. Consulate in India. An Indian national on an H-1B visa asks: “I am interested in EB-5 – can I use funds from U.S. sources or must I only use funds from my home country of India?” Ans. You are permitted to utilize U.S. funds. Green card holder from India who is thinking of travelling to Canada by car for a short trip asks: “Am I permitted to bring our pet parrot to Canada and back to the U.S.” Ans. 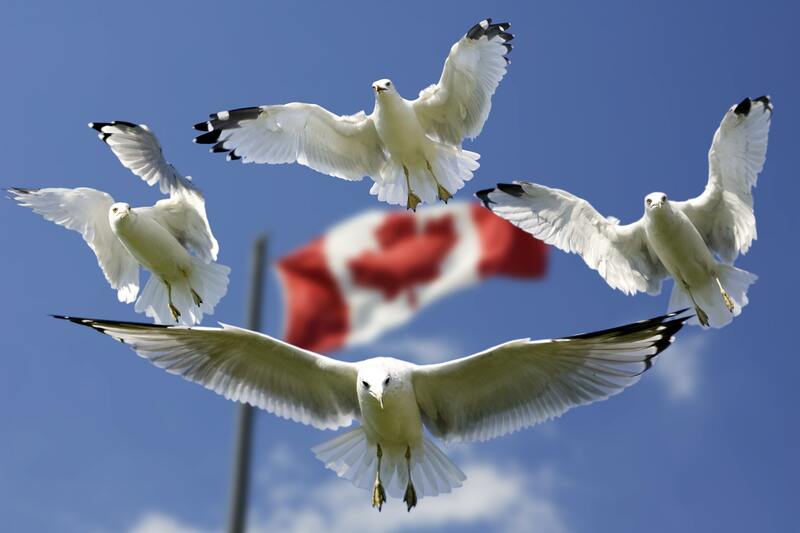 Although Canadian law does permit a traveler to bring in certain birds provided they can show ownership the real issue arises when seeking to return to the U.S. which is more restrictive on this issue. TN applicant from Canada seeking a new TN asks: “When I arrive at the airport seeking a TN visa with a new employer must I show the current TN stamp or should I ask for a new one?” Ans. You must indicate to the TN officer that you are seeking a “new” TN with a new employer. You should be issued a TN reflecting the dates of proposed employment with the new employer. 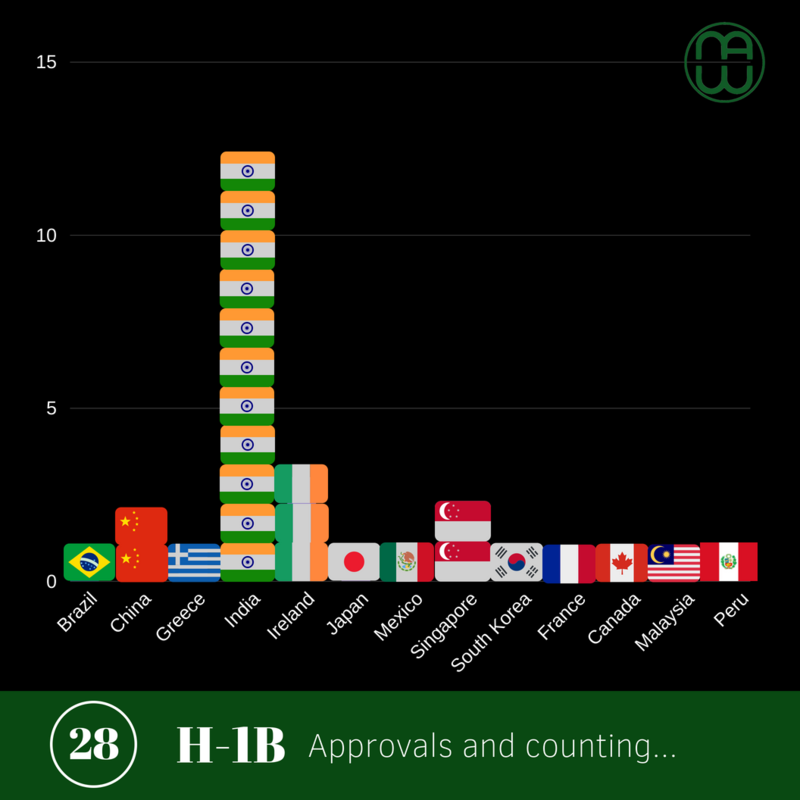 Indian national holding a valid H-1B visa with an approved I-140 immigrant visa petition who is considering an H-1B transfer to a tech company asks: “What happens if the H-1B transfer is rejected? Does that affect my current H-1B?” Ans. No, so long as you currently hold a valid H-1B a denied transfer will not adversely affect your current H-1B. Husband: I just wanted to say thanks to you and your team. You guys had a challenging one with us and my wife was right – you guys are the best in the business. Wife: A huge thanks to you, Neil and all your team for working so hard on our case, as I know it wasn’t the most straightforward. I would like to thank my friends for introducing Mr. Neil Weinrib. I am happy to inform, my wife’s immigration case is approved. I thank Mr. Neil Weinrib for guiding me through the process. I thank all of you from my heart. I trust you, you the best lawyer on earth! Thank you very much for your help with obtaining the O-1 Visa. This was extremely important for our company. It has been also a nice experience working with your team. Thanks a lot for the wonderful news! At last!! Have been waiting for this for a long time now. Its all been possible with the grace of the God and with the help of Mr. Neil…. Thank you all very much. Thank you and everyone at the firm for the hard work. I wouldn’t have made it without your help. In visa world, Neil is the equivalent of the mountain guide that knows the trails and the traps. There is nobody better to guide you. As if we have not already been dealing with many significant challenges affecting U.S. immigration in the past 18 months including the Trump Administration’s memo stating that any foreign national who falls out of legal status (including F-1 & M-1 students) is potential bait for deportation and removal, Buy American-Hire American (BAHA) to protect American workers and make it more challenging for companies to hire highly skilled and necessary foreign nationals, the end of Temporary Protected Status (TPS) to nationals of many countries previously permitted to live and work in the U.S. for many years, the Travel Ban which was recently upheld by the U.S. Supreme Court, the attorney general’s unilateral decision to re-write the long-standing asylum regulations limiting asylum only to those who can prove they were victimized by foreign governments and not spousal abuse, etc., the formation of a De-Naturalization Unit at USCIS to take away citizenship from applicants who may have apparently engaged in fraud, the memo made public on July 5th announcing the plan to start issuing notices to appear in immigration court for deportation/removal in the event of denied applications for green cards, the “zero-tolerance” policy to incarcerate adults and children in American-style concentration camps, and, now, the newly released September 11thmemo which will now give USCIS adjudicators the unrestricted authority to outright deny applications that are “missing” information-which is a radical departure from prior policy which permitted the applicant the opportunity to provide any missing data, documents or information. This will certainly affect all types of immigration benefit applications including H-1B professional workers, L-1 transfers, husband-wives & family members, etc. All of this makes the Border Wall issue seem benign in comparison! And, all of these represent radical, unprecedented changes in American immigration law and policy never before seen! USCIS claims that these policy changes are actually an effort to ensure that our nation’s immigration laws are faithfully executed to keep communities safe and secure! However, I really don’t think it’s that easy! On the contrary, it appears that the rule of law is now under severe attack from all levels of the Trump administration and Congress is not acting to limit or restrict this onslaught! Another Crazy Week In U.S. Immigration-Whew!